"Every man has a price". That seems to be the motivating factor in the debut novel, "The 500", by Matthew Quirk. In the book, Quirk depicts the inner workings of Washington D.C.'s five-hundred most influential people, through an imaginative and engaging thriller. Mike Ford is an outsider. As a student at the prestigious Harvard Law, Mike works hard to live up to the societal standards of his affluent classmates. Unlike his peers, Mike, the son of a convicted felon, has grown up in a world of crime. After his disease stricken mother passed away, he was left with a jailed father, his mother's medical bills, and the choice to either make a better life for himself or meet the same fate as his father. A standout at Harvard, Mike is given the opportunity to be an associate at The Davies Group, a powerful consulting firm in Washington. The group is paid by individuals, corporations, and special interest groups to influence the movers and shakers of Washington, the 500. Henry Davis, who formed the company, sees a spark of himself in Mike and quickly appoints him to a high profile deal that could lead to his partnership. Essentially, The Davies Group uses the knowledge that "every man has a price" to find ways to "influence" the heavy players in the D.C. scene. Mikes street knowledge helps him to climb the ladder, providing more fortune, connections, and prestige than he could ever have dreamed of. When Davies pulls Mike off of his major deal, Mike immediately suspects foul play. He enters a conspiracy that threatens everything he has worked for and even his life. Matthew Quirk has been compared to veteran legal thriller author John Grisham. While I definitely see similarities between Quirk's fast pace, legal jargon, and characters with those in Grisham's earlier novels, Quirk writes with an urgency and contemporary structure that is uniquely his own. The novel begins with a tease from the climatic ending and then goes back the the chronological beginning, grabbing the reader from the start and providing immediate anticipation. I was reminded of the 2007 film "Michael Clayton" in which a corporate "fixer" gets involved in a similar web of corrupt power. 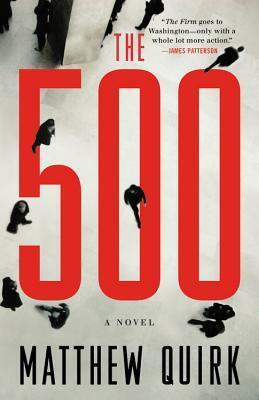 Overall, "The 500" is a fast and contemporary legal thriller that is a fantastic debut. Nick and her cousin, Helena, are two women searching for their place in the world. With the Second World War drawing two a close, both women find themselves ready to take on the rest of their lives. 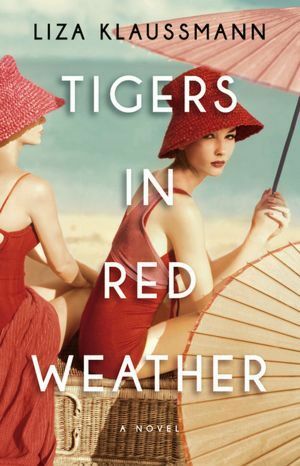 In author Liza Klaussmann's debut novel, "Tigers in Red Weather", readers are provided with the strong characterization of an intriguing family. Nick and her husband Hughes are finding it difficult to adjust to domestic life after the end of the war. They live in a small, Florida cottage where the repetition of their daily routines is taking a toll on them. Hughes follows the role that most men of the era do, consistently attending work to provide for his family. Nick, never much of a cook, finds it difficult to complete her daily tasks, and longs for something more. Meanwhile, her cousin Helena is starting her new life by marrying a Hollywood producer. After the unfortunate death of her first husband, who lost his life in the war, Helena finally seems to be on the path to her dream life. Unfortunately, the lights of her Hollywood marriage are not as bright as she thought. Her husband seems interested in only using her family's money to fund his ill-fated project. Fast-forward ten years, and both Nick and Helena are mothers to Daisy and Ed respectively. The two women, along with their children and Hughes, are spending the summer at the family's coastal property, The Tiger House. Despite their age, both women still long for something more. When Daisy and Ed stumble upon the brutally murdered corpse of a maid, the facade of happiness that the entire family has built begins to come crashing down. In this debut, reminiscent of "The Great Gatsby" in both style and substance, Klaussmann provides readers with a tale full of genuine characters and suspense, making this novel the perfect intellectual summer read. The story is broken into five sections, each narrated by a different main character, providing intimate insights into each person's thoughts, emotions, and motivations. Chronology became a bit muddied at times, especially when characters reminisce through flashbacks, but Klaussmann does a commendable job keeping the times labeled. There is a murder in the story, but the focus becomes more about the characters, the murder merely a means to explore the family dynamics. Overall, this novel has a great mix of historical setting, interesting characters, and narrative momentum. I definitely recommend this book as a strong summer read. To say that Sam Capra is motivated would be an understatement. His ex-wife, who committed treason against the CIA and cost Sam his job with the "Special Projects", now lies in a permanent vegetative state. His former employers are actively pursuing him for his alleged crimes that occurred while trying to clean up the mess that his wife created. On top of that, a mysterious criminal group, The Nine Suns, has kidnapped his newborn son, Daniel. The only way Sam will ever see his son again is if he finds and murders the man who holds the evidence to expose the Nine Suns. If he fails to kill the man, his son will die. Like I said, motivation is an understatement. To assist with this assignment, Sam is provided with a hacker, Leonie, whose young daughter, Taylor, has also been abducted. Together, they set out to hunt down the man who stands between them and their children. Emotionally conflicted, the pair struggles to come to terms with killing an innocent man, but they decide that they will do anything to bring their children to safety. Adding further conflict is Mila, Sam's boss with "The Round Table", a resistance group that he joined after his departure from the CIA. Mila wants to help Sam to find his son, but Sam has been given specific instructions that state only he and Leonie can pursue the evidence. When another force, which is searching for the mysterious Mila (she has a 1 million dollar price for her capture), begins to interfere with Sam's investigation, he is forced also try to protect her. 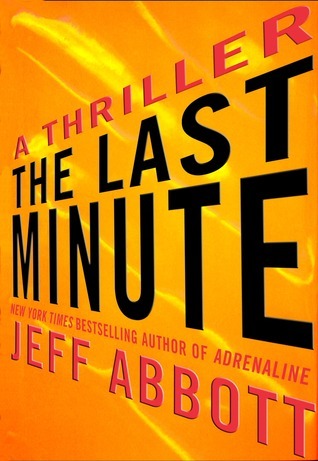 Being Abbott's second novel to feature Sam Capra, "The Last Minute" begins by picking up in the middle of action. While readers of the previous installment were probably ready for the action that begins in this one, I found it a bit slow to start. Without any character background at the onset, it was hard to really care about all of the opening action. Fortunately, the characters become more developed as the novel progresses, and I became thoroughly invested in their story. The character of Mila is particularly fascinating, and her background story of revenge left me craving more. Overall, Abbott doesn't stray too far from the typical thriller mold, but the novel is a very entertaining read. A couple years ago, Don Winslow made waves with his fast and edgy novel, "Savages", in which young drug "entrepreneurs", Ben and Chon, embarked in a war against a Mexican drug group who kidnapped their shared girlfriend, O. It was, arguably, one of the best thrillers of that year and even spawned a film adaptation by director Oliver Stone. Now, Winslow returns to this version of California in a prequel, "The Kings of Cool". The novel centers on two main stories, one taking place around 2005 and the other beginning in the 1960's. Both portions are presented in alternating sections until the two narratives meet in the latter portion of the book. The 1960's story tells the tale of young Californians experimenting with the various drugs of the time. A few characters, from various backgrounds, discover the potential business opportunities that these drugs posses, and become involved with the drug trade. In 2005, Ben, Chon and O, are all recent high school graduates. Instead of following the traditional paths of their peers, they grow their own highly potent marijuana. As they become recognized for their superior product, their competitors begin to take notice. They are required to pay a portion of their earnings to their competitors in order to continue selling their drugs (think a kind of business tax). In the course of a couple of weeks, Chon receives orders to take his third deployment to the war in Iraq, O begins to search for her unknown father, and Ben is left to deal with the business. After his competitors murder a couple of his street peddlers, Ben must try to deal with the problem. 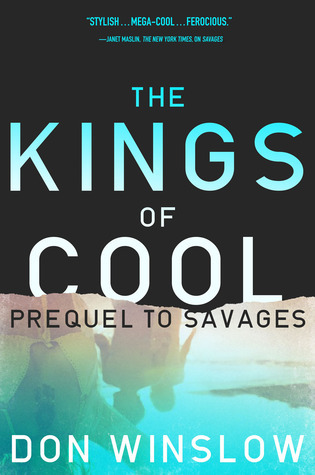 "The Kings of Cool" is the best thriller I have read this year. Winslow's unique writing style is the perfect vehicle for a story like this. His bare prose and timely observations provide a contemporary edge that breathes life into this unconventional tale. The characters are so convincing that you can't help but root for theses drug dealing criminals to beat out their competitors. The two story lines seamlessly weave together, all driving towards an ending with the perfect amount of twist and resolution. I thought that perhaps with all of the praise that "Savages" received, Winslow was somehow pressured into writing another novel with the same characters. Fortunately, he avoided the traps that many series authors fall in to, creating a story that felt naturally conceived and executed flawlessly. I understand that the subject matter and the way it is presented may be unappealing to some, but for those looking for a thriller that is a bit outside of their normal reading habits, this is a must read.